There could be many reasons why you started down your Agile journey. There will be many more reasons why you continue with that journey today and in the future. But ultimately you have to deliver meaningful business results, and that requires you to validate your achievements and adjust as needed. In many organizations this requires change. You might not be measuring the most important factors, which could result in a misunderstanding of the value of Agile. 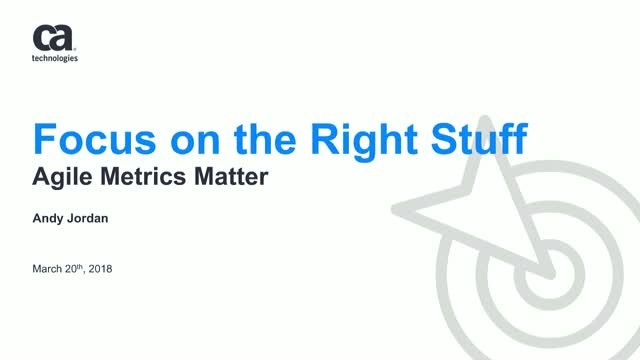 As always in one of Andy’s webinars he will not only make you think and challenge your assumptions, he will provide a tangible plan to help you take the concepts of effective metrics and measurement into your organization to drive even greater Agile success.